These pages are about the modern railway scene in Somerset and Devon. Norton Fitzwarren has been updated 21-2-05 with photos of the new bridge being built nearby at Silk Mill. Taunton Scene with views of the modern railway in and around Taunton, updated 14 September 2003. Bridgwater Scene is developing with photos of Bridgwater's railway scene. It includes photos of D1015 Western Champion working an EWS freight service through the town, 6201 Princess Elizabeth on an excursion and 5029 Nunney Castle at speed with another special. Paignton 2002 - photos of Paignton Station as it is today, including the Paignton and Dartmouth's Queens Park Station as well as the mainline one. 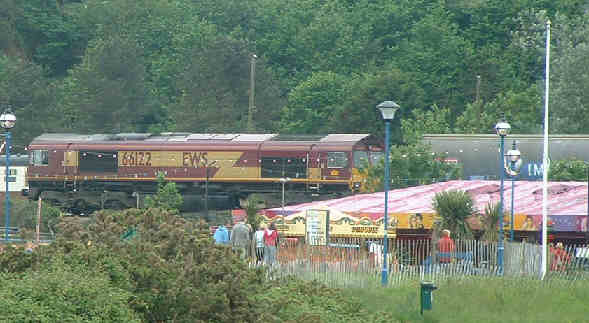 They have been joined by Change at Paignton which has had some updates in December 2005. Castles at Taunton, a brace of Castles double heading out of Taunton en route to Penzance, 4 May 2002. 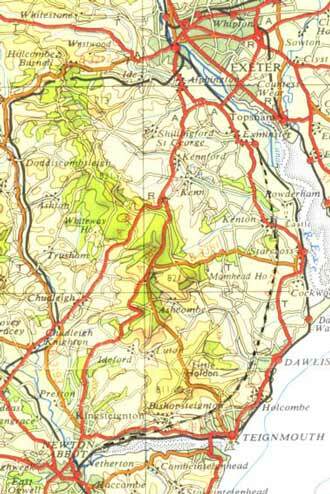 Exeter to Salisbury covers that section of line. Not enough for their own page!! Two shots of EWS 66122 stood in the down loop at Dawlish Warren with a Bank Holiday 6Z70, china clay empties from Stoke Cliffe Vale to Burngulow, Cornwall. In the first being passed by a First Great Western HST, a closer view in the second showing the odd juxtaposition of a heavy freight train and the dodgems. In the background are the chocolate and cream camping coaches.